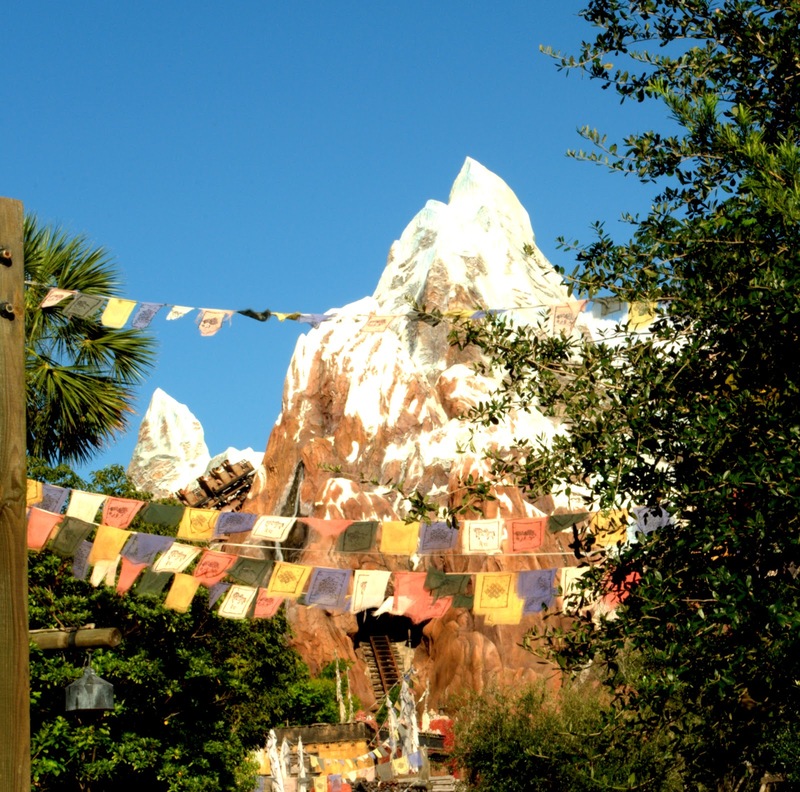 One of the most thrilling rides at Disney's Animal Kingdom park is the Expedition Everest. Hubby and John went on this ride. The line is usually way too long for this type of ride. It's about 45 min to 1:30 min wait. I'm glad the guys availed the fast pass ticket. 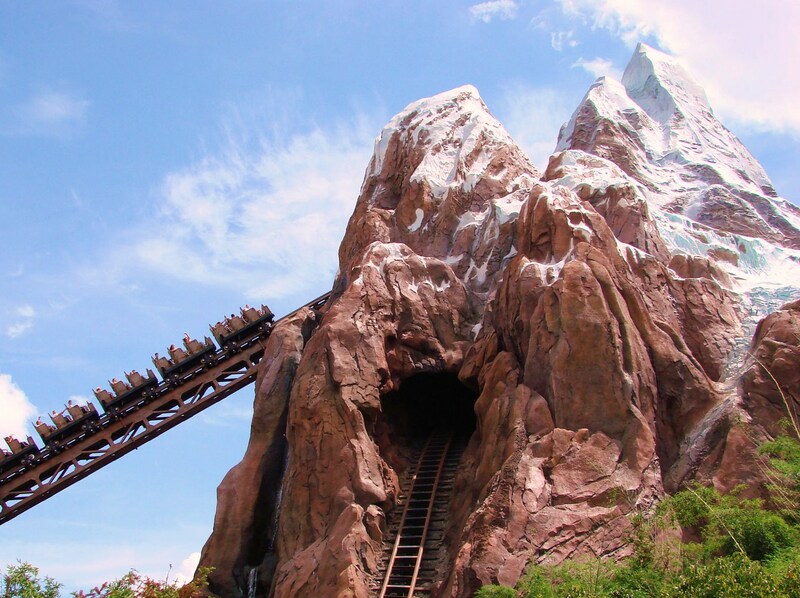 Expedition Everest in the Asia area of Disney's Animal Kingdom theme park is a high-altitude, high-speed, roller coaster train ride for big kids, teens and adults to the "Roof of the World," home of the inhospitable snarling beast, the Yeti, at the mountain's peak. Would you dare to to ride it? They were just building that ride the last time we were at Disney World. Looks like lots of scary fun. wow, this looks awesome. must be a hell of a ride. grabeha sd sa linya sa, dili pwedi ka insert hehehe. nganu wala mn ka ni try bayot, aron super nganga dayon ba nya lisang lisang hehehe. I will not hahah ... Sa line pa lang kahaba na ehehe. Siguro namatay ako dyan if I tried it sis lol... Gorgeous shots, galing mo talaga! At first I thought the cars on the ride were empty. It is only when you zoom in that you realise just how big it is! Yes, that must be pretty exciting alright. Imagine a simulated train ride to the top of the world and seeing the mysterious yeti or abominable snowman. Disney World really has so many things to offer to all people of all ages. Thanks for the post. God bless you all always. pakan-a na lang ko Dhemz kaysa musakay ana..nagtan-aw pa lang ko gahiyak hiyak na akong tiyan waaaaaaa. ayay, i wont dare...it looks exciting and thrilling but i definitely wont dare ride it..mhadlok jud ko..ferris wheel pa gani kay mura na kog kuyapan hehehehe..nice photos sis.. This something sounds quite fun ride. Like to go if get chance. The setting was wonderful!